A beard comb will make the difference between a scruffy caveman beard and a sleek, attention-getting beard. Combs untangle all the little knots in your beard, making you look well-groomed. They are also ideal for styling your beard and keeping it in place throughout your busy day. When correctly combed, your beard will look fuller and can even lead to less ingrown hairs. 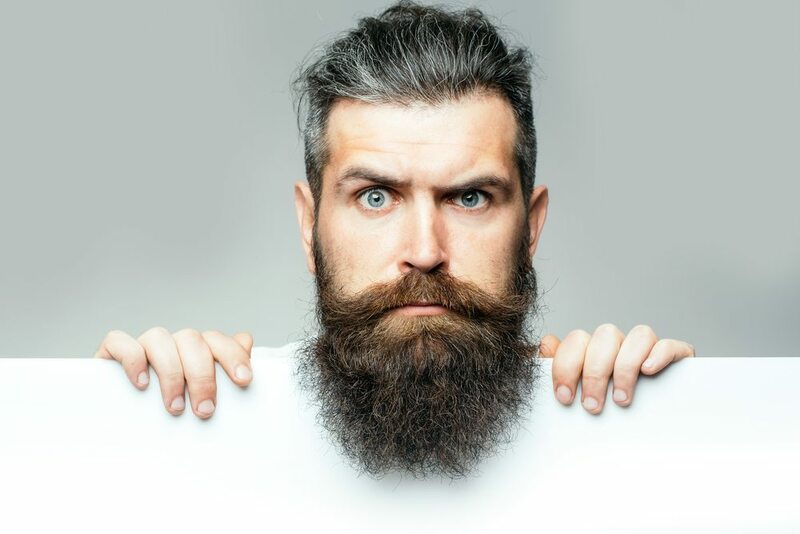 Combing your beard will also train the hairs which way to go while you’re growing your beard and will keep them from always getting in your mouth. Unlike mass manufactured plastic combs, the Natural Organic Sandalwood Beard Comb is handmade from hardy sandalwood and guaranteed to untangle even the thickest beards. The handcrafted teeth mean it won’t have any jagged edges and won’t snag on your beard. The sandalwood is also anti-static, so say goodbye to the days of frizzy, unmanageable beards and say hello to Mr. Suave. This is great because there’s nothing worse than a staticky beard, it can ruin your whole look. What sets this comb apart from others on the market is this comb will make your beard smell great. Our contoured edge, multiple teeth widths, precision edge shaping tool, & protective carrying case makes this the most revolutionary beard comb ever. The sandalwood scent radiates from the comb and into your beard, leaving a pleasant smelling beard all day. With the Rocky Mountain beard comb, you’ll never want to buy another comb in your life. Other combs pale in comparison to this one, unable to offer all the great features this wooden beard comb does. Pocket-size beard brush and moustache comb combo fits perfectly in your jeans' pocket or bag pocket, so you can groom your facial hair anytime, anywhere. A couple of great features the Grow A Beard, Beard Brush and Comb Set has is it’s dual sided and made out of bamboo. The dual sides aren’t unique to this comb, but the different teeth sizes are. May combs will have two sides but will only have one size of teeth. This comb has one side of fine teeth and one size with wide teeth. The fine teeth are especially good for getting out all the little tangles. This comb is unique in the fact that it’s made from bamboo, unlike most combs. Bamboo is great because it’s grown with no pesticides and is 100% biodegradable. The wood is also high quality, unlike some other combs, and just one will last you forever! Dual Action Beard Comb from Huntsman Beard Co. The Dual Action Beard Comb is another great comb with dual sided teeth of different sizes. This comb is also made from sandalwood and is incredibly durable. The different teeth make this comb perfect for your beard as it grows and gets bigger. The sandalwood will add a fresh wood smell to your beard and will eliminate all the static that you would get from using a plastic comb and keep your beard looking fresh. The comb is also very tough, tough enough for even the manliest man with the thickest beard. No matter what it’ll get the job done and keep your beard healthy. If all that still isn’t enough to sell you on this. If all that still isn’t enough to sell you on this comb, it comes with a sleek, faux leather protective sleeve. Just slip it into the sleeve and then in your pants or shirt pocket and you’re set for the whole day. This Rapid Beard Board Bristle Wooden Beard Comb Kit is handmade, snag free, and anti-static. The wood prevents any static, and the wide teeth prevent any painful snags. This is the best beard comb because it is perfect for all types of hair, short, long, thin, thick, coarse, soft, no matter what type of hair this comb will leave your beard feeling smooth and looking styled all day. What sets this comb apart is the fact that it’s handmade. The handmade finish also ensures that there won’t be any snags while combing. It’s nice to know someone took the time to make the comb with care to ensure quality since you’ll be using this product every day on your beloved beard. All of these beard combs are great, and you should try them all and see what works best for you. The best beard comb by far is the Natural Organic Sandalwood Fine Tooth Brush from Rocky Mountain Barber Company. From the high quality, amazing smelling, handmade sandalwood, to the fine teeth to get all the tangles, this truly is the best beard comb. The smell will take you back to summer bonfires and it’s compact so you can slip it in your pocket and touch up your beard throughout the day. You’ll love how smooth this comb will make your beard feel and how durable it is. Buy one and that’s all you’ll ever need (except for the ones you’ll buy as gifts for all your friends)! How many time per day should I comb my beard? To get all these awesome benefits, you’ll need to comb it at least once a day, preferably after you wash it and apply oil but not while it is still really wet. Combing your beard after you apply beard oil will allow the comb to glide through and untangle the beard much easier. However, you can comb it as many time as you want if your beard is being unruly throughout the day. The best way to comb your beard is with a comb designed specifically for beard combing.